In my life which now spans almost 57 years I have never seen an American political leader attempt to present a full-blown counter-factual narrative to support their desire for power; but that was before the presidential campaign of Donald Trump. This not only comes from watching the campaigns of various presidential candidates and the actions of those men who have gained the Presidency, but from my study of history. Yes, I have seen Presidents lie with varying degrees of success. I have seen politicians twist facts and numbers for specific ends, but I have never seen one do so on such a scale and magnitude as our current President; nor have I seen any President so boldly attack and attempt to discredit the institutions established as checks and balances in the Constitution. Hannah Arendt’s words describe in terribly precise detail the kind of propaganda campaign that has been waged by the President and his chief advisor, Steve Bannon since last summer, which is reinforced by his spokespeople on a daily basis. 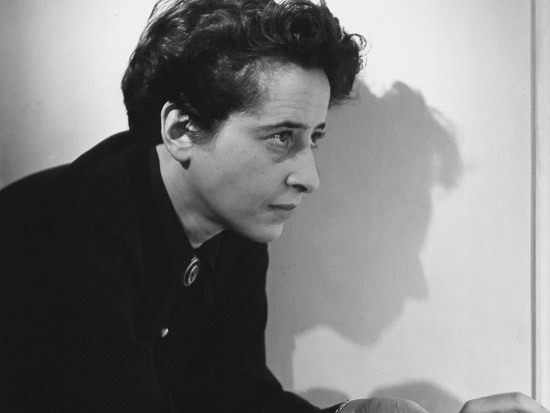 Arendt wrote: “The outstanding negative quality of the totalitarian elite is that it never stops to think about the world as it really is and never compares the lies with reality.” Arendt’s statement is very descriptive of this administration. I am going to leave things here for now.